I think ASI forgot to read that the Sadhu said if the excavation is not done in proper way the 1000 tonnes of Gold will vanish…. Some time ago similar thing happened in Hyderabad at Naubat Pahad. 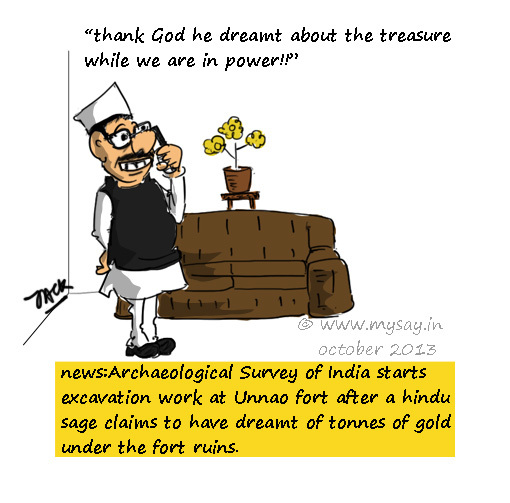 We start excavating on so called sadhu Baba’s dreams… Hilarious and pathetic at the same time! !